Car shipping cost is major concern for many people moving across the country. A household goods mover generally doesn’t move autos. This means customers have to find auto transport company to move their car. Whether you are transporting your vehicle to a large city or rural area will widely affect the price of moving your car. Auto transportation services cost surely depends on the distance the vehicle needs to be moved, but the location you are moving to is a key factor for the car shipping pricing. Transporting your car to major cities like Los Angeles, New York, Chicago and Boston comes less expensive since these are popular auto transport routes. Car shipping services to smaller, rural areas means an auto transporter has to turn aside the main route to deliver your car. This will add up to the cost because of additional miles and gas incurred, and time your vehicle is in possession of the auto transporter. The car hauling industry has its high and low seasons just like most industries. In contrast with other moving services though, transporting your car during the winter could be more expensive than during summer season. Winter is snowbirds season, which is the time when many retirees move to the Southern states such as Florida, Texas and Arizona. The increased traffic and the more dangerous road conditions during snowbirds season may drive the vehicle transportation costs higher. There won’t be a drastic price difference between summer and winter car shipping rates, but seasons do affect the price. Moreover, if you own a high-end car you may require enclosed shipping that is more costly than open-air shipping. 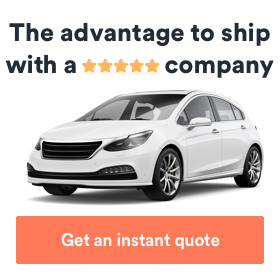 After the cost of shipping a car, customers are most concerned with the time it will take the company to deliver the vehicle. Typically, the more expedite car shipping service customers require, the more they will have to pay. Fast car shipping is more expensive just like any other express shipping services. A quick pick up and delivery require fast yet proper route planning which ultimately costs more. Requests that are more flexible are less expensive because they allow the car shipping company to organize the delivery according to the most efficient transportation practices, which is a fully loaded trailer delivering within a close proximity perimeter. 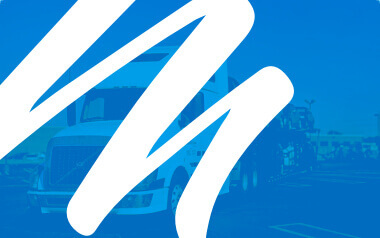 Auto transportation carriers generally offer the standard open delivery and the enclosed delivery option. Open trailer delivery is the less expensive option where the cars are uncovered and exposed to the weather and road conditions. While there is usually no problem when shipping a car with an open trailer, there could be issues with bad weather and road debris. Open car shipping is less expensive because more cars are loaded on to the truck and transported in the same time. Most clients opt for this option, as it is more affordable. The enclosed car delivery is a premium transporting method as cars are covered and fully protected against weather elements. 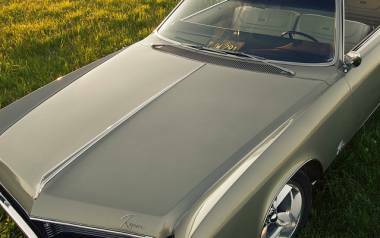 Enclosed car shipping is often requested for high end sports vehicles or classic cars. Clients who would like to transport their vehicle in the safest possible way, to prevent any type of damages, often choose the enclosed trailer transport, which comes at a higher price. Car hauling companies offer standard and premium auto shipping services to answer the various car-shipping requests. If, for example, a car has been modified it will need a more special handling and shipping, which will ultimately affect the cost of shipping the car. A modification might be lifting or lowering a car, which changes the height of the auto. These types of modifications mean that the auto hauler will have to adjust the transporting truck levels to accommodate your non-standard vehicle height. Adjustments like these directly affect the cost of transporting a car, as they require additional work and attention to that car. A standard factor affecting the price of transporting a vehicle is the size and weight of the vehicle. The larger the vehicle the more expensive it will be to transport. Smaller, more compact cars take less space and are lighter which reflects into a smaller cost for transporting. Large vehicles are heavier and besides taking more space on the trailer, weight more and this affects the fuel consumption of the car transporting truck. Quite often customers would like to take advantage of the space in their cars by loading it with personal items. Typically, this would be a great option for anyone who is moving, as they can use the cargo and passengers spaces of the car for transporting goods while the car itself is being moved. This though increases the overall weight of the car, which affects the car shipping cost. Although many clients would not mind paying a little more, most auto transporters prohibit loading of personal items in the car. Even if you have insurance on your items, car shipping companies in general are not licensed to transport household goods and thus will refuse to do so. Consequently, clients should arrange for a household mover to transport their personal items and leave the car empty for the auto transporter. What is Top Load Transport?